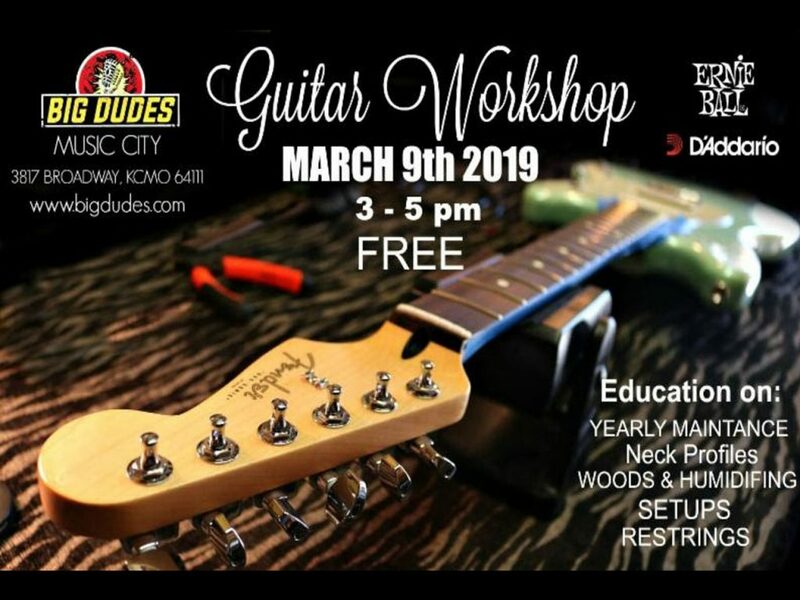 Stop by Big Dudes Music City and enjoy our Monthly Guitar Workshop for FREE on March 9th from 3-5 pm. We will show you everything from Yearly Maintenance Techniques, Humidifying, Restrings, Setups to picking certain Woods, Neck Profiles and choosing the right Strings. We will have a testing area with the latest strings from Ernie Ball & D’Addario and Co. on our gear with a chance to win prizes and a “Year of FREE Restrings”. If you have any questions about Electric or Acoustic Guitars then don’t miss this special event. See everyone at Saturday March 9th at 3 pm.